Tares among Wheat–What do we DO? | Lift Jesus' Cross! 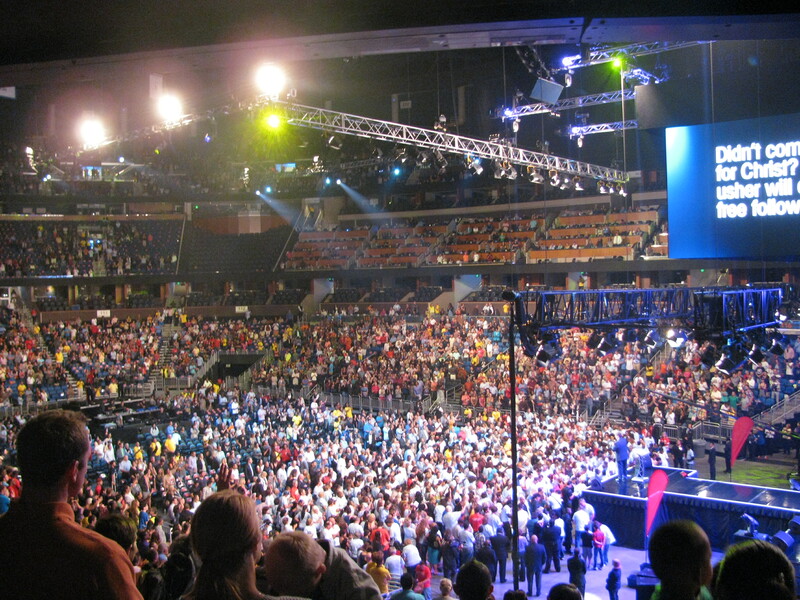 ← 2000 Souls Come to Jesus in Orlando and Philadelphia! Tares among Wheat–What do we DO? Posted on October 12, 2013	by Lift the Cross of Jesus! After I posted the results of the Bonnke/Kolenda and Laurie crusades in Orlando and Philly, someone on Facebook said, “These rah-rah emotional grand evangelical crusades…been there, done that. Wonder how many are going down to get saved for the 4th time . . . ” This dear brother in Christ began to share his doubts about the harvest. 36 Then He left the crowds and went into the house. And His disciples came to Him and said, “Explain to us the parable of the tares of the field.” 37 And He said, “The one who sows the good seed is the Son of Man, 38 and the field is the world; and as for the good seed, these are the sons of the kingdom; and the tares are the sons of the evil one; 39 and the enemy who sowed them is the devil, and the harvest is the end of the age; and the reapers are angels. 40 So just as the tares are gathered up and burned with fire, so shall it be at the end of the age. 41 The Son of Man will send forth His angels, and they will gather out of His kingdom all stumbling blocks, and those who commit lawlessness, 42 and will throw them into the furnace of fire; in that place there will be weeping and gnashing of teeth. 43 Then the righteous will shine forth as the sun in the kingdom of their Father. He who has ears, let him hear. Jesus explained that the end time harvest will have tares. My friend pointed that out as well. He’s right. There are tares in the field, sown there by the devil in hopes of destroying the harvest or discouraging those laboring in the field. Jesus told us not to worry about the tares. He plainly said that at the end of the age he’d send forth his angels to sort it all out. If we try to judge this harvest now, we will destroy it. If we try to “fix it” because we see a problem, we will pull out and possibly destroy the good harvest while we try to examine and remove the tares. FAITH! We must labor by faith! So let us labor with the Master in the fields of harvest, and TRUST Him to sort out the wheat and the tares. I believe Jesus said all of this to calm our hearts and put us to WORK in his fields. “Pray therefore that the Lord of the Harvest will send forth laborers into his fields.” AMEN! I also think about what the comment David left on this blog–how pitiful it seems America needs missionaries within her shores, when previously we were the greatest sender of missionaries on the globe. This is true. But as Christians we have nothing to fear but fear itself. Jesus said that whether American or Australian or African or Indian, the righteous will shine! Then the righteous will shine forth as the sun in the kingdom of their Father. He who has ears, let him hear. Daniel said the same thing. In the last days, those with wisdom will shine like the sun in the darkest of days. Hallelujah! 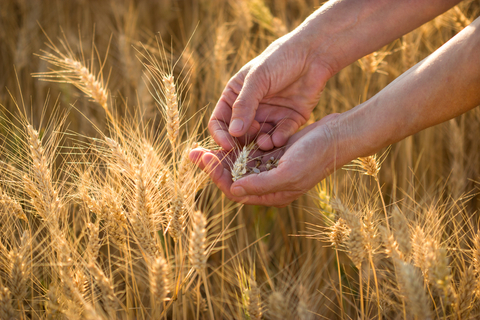 14 Responses to Tares among Wheat–What do we DO? check your blog. was it supposed to look like that in the second paragraph? Thanks for letting me know, Lorraine. The scriptures came through in computer language on the emailed blog. But I erased it as soon as I saw that. One of those blog glitches! In total agreement that our work for God is totally in faith and thankful for your friend’s willingness to speak as well. My understanding of tares is that they DO look just like wheat. It is a hard calling to do what Mike did–stand up and say all is not as it appears. It is hard to be judged by those with whom you have a heritage and share a passion. Both messages matter; thanks for providing the forum.. We must all work in faith–humble faith because tares are a reality (in ALL of us). Yes, BillieJo, I think it is good to enter these discussions now, because we are about to see MORE harvest. When harvest comes, we don’t need Christians standing on the sides of the fields throwing stones into the field or voicing opinions on whether or not our field is a good one. Jesus told us plainly, it is HIS FIELD, HIS HARVEST, and our work is to co-labor with him. So I’d like to see these discussions take place now (and not just here on my small blog) so we can come to understanding, walk in agreement, and please our Lord with our labors. Becky, you really have nothing at all to feel sorry about. I’m so glad Jesus left us with some of these instructions for the last days harvest. It’s really going to be bigger than anything we’ve ever seen. Again, I think it’s better that we dialogue now because when the harvest gets bigger, the tares will get bigger, too. We really have to “eat the chicken and spit out the bones” so to speak. Some people need attention. We need to take them aside and minister to their needs. But that does not invalidate the harvest in any way. It just accentuates the truth that people have great needs and the Lord of the harvest has come to satisfy every thirsty soul! GLORY! The objective of the tares, or more correctly, the devil who sowed them, is to contaminate the harvest. If we try to pull them out, we stand a good chance of pulling out good plants, so we are not to try. That’s God’s problem; He’ll do a far better job than we can, though some will become obvious as they reveal themselves by their works. We are to do God’s work and not worry about the results; again that’s His problem, not ours. Tares, or darnel, look like wheat but as they ripen, wheat “bows down” with the weight of the seed; darnel doesn’t but stands upright instead, as though it has a problem with pride but wheat is humble. Beautiful clarifying picture of the right heart for all of us who wear the name of Christ! Thank you, Billie Jo and Hope, for your kind comments. However I should admit I am not a farmer. I have a brown thumb, not a green one. I’m simply repeating what I have learned over the years and passing it on. Well, David, thank you for sharing that knowledge. We are all learning together! We are all learning, or should be. We are to be students of the Bible all our lives and take on the appearance of Christ as we mature, but that’s a lifetime work. Will we produce 30, 60, or a 100 fold? Or will we be smothered by weeds, or dry up because we are not rooted in God and His Word? It’s our choice and it’s all to easy to be smothered or dry up. Remember (I hope I’m quoting correctly) “Prone to wonder, Lord I feel it, prone to leave the God I love. Here’s my heart, take and seal it, seal it to Thy courts above.” (I think I mangled it but can’t think of the title, first line, or lyricist to save my life to check it out.) The writer later did leave. Whether he was restored or not I don’t know. It can happen to any one and that scares me. Paul refered to several that did just that. Demas was one of them. Someone-Chesterton?-said something like “Christianity hasn’t been tried and found wanting, it’s been found difficult and left untried.” It’s only being completely yielded to Christ that we can live it and that’s not easy, it’s impossible without Him. I’d like to reply to David’s thoughts. I don’t know if this holds true across the board, but from what I have seen personally, most people get taken away from their faith by the cares and the pressures of this world. For example, the bills come in, a family member is sick, sometimes it’s as simple as the every day cares of life. I see so many people being Burdened down by the cares of this life. I like that song turn your eyes upon Jesus. . . and the things of this earth will grow strangely dim in the light of his glory and grace. Yes, it’s the cares of this world that are the weeds that I referred to. Because being a real Christian is difficult, when problems come they are overwhelmed because they are looking at things through a human perspective, not God’s, and give up. They haven’t turned their eyes upon Jesus but have looked around them, as Peter did when he was walking on water, and sunk. One reason that things are hard is that God isn’t on our timetable. We want action now, not a year from now. So we try to work it out our way and make a big mess, and our attempt becomes more weeds, more problems.